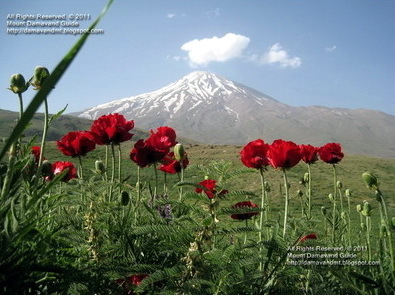 Visit natural beauties, sightseeing and landscapes of Persia. Iran is paradise of natural attractions, forests, deserts, ecosystem, waterfall, lake and river. We are one of the leading ecosystem tourism & touring organization for outdoor activity in Iran. We organize a wide range of tours for hiking & trekking, natural attractions, ecosystem outdoor tourism activities with excellent services and qualified teams to support incoming foreign tourism to Iran. – Ecosystem, fauna and flora and natural attractions. – Outdoor tourism activity, Outdoor Recreation tours. – Canyon, Caves, hill, mountain, valley tour operator. – Nature and ecosystem guided Tours. – Island, lake, river, salt lake, swamp, waterfall, wetland. – Desert, ecosystem, forest, garden, jungle, nature, protected wildlife. – Bird watching, butterfly catching. – Anahita Temple Bishabour, Kazeroon. – Meidan e Shah Esfahan. – Naseroldin Shah Palace, Sharestanak. – Takht e Soleyman Kermanshah. – Zigorat Choghazanbil, Tchogha Zabnil Khosestan. Visit remarkable Iran salt lake deserts and caravansaries, gravel routes, running sands, absolute silence and peace, stars shining in desert dark sky night. – Abar Kooh, abar Koh. – Dasht e Lut, Kavir e lout. – Desert ecosystem of iran. – Maranjab Salt Lake Desert. – Maranjab desert silk route. – Sahara and caravansaries in Iran. – Mountain biking, Alborz and Zagros mountains. – Landscapes of Persia sightseeing. – Natural attractions and beauties. – City historical residential buildings. – Museums historical, Isfahan, Kashan, Shiraz, Yazd, Kerman and Tehran. – City travel guided tour iran. – Iran touring and tourism. – Cross Alborz and Zagros mountains trekking tours. Most valuable data for Damavand trek. Guided tour to Iran mountain. Travel to Alborz and Zagros Ranges. Trekking south to north of the Alborz Mountains. Iran Ecosystem, fauna and characteristic attractions trips.